Habitat: Arid, semihumid climates such as desert flats, canyons, and mountain areas. Diet in the Wild: Lizards, snakes, and small rodents. Conservation Status: Considered a endangered species in New Mexico only. 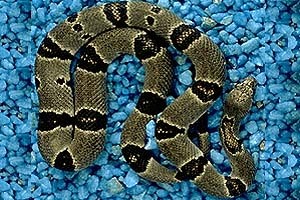 The Gray-Banded Kingsnake is a solitary snake that is primarily nocturnal. It is not seen alot because of its nocturnal nature. 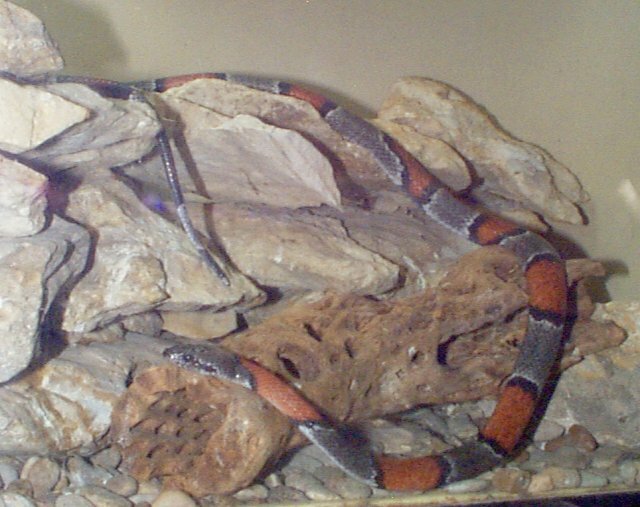 During the long periods of drought that the southern summers often bring, the Gray-Banded Kingsnake retreat to there underground home to prevent dehydration. Conant, Roger. A Field Guide to Reptiles and Amphibians.© 1975 Library of Congress Catalog Publication Data. Eichhorst, Tom. 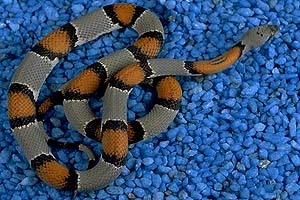 Lampropeltis Alterna--Gray-Banded Kingsnake.